Tied with a Ribbon: FIREWORKS ! 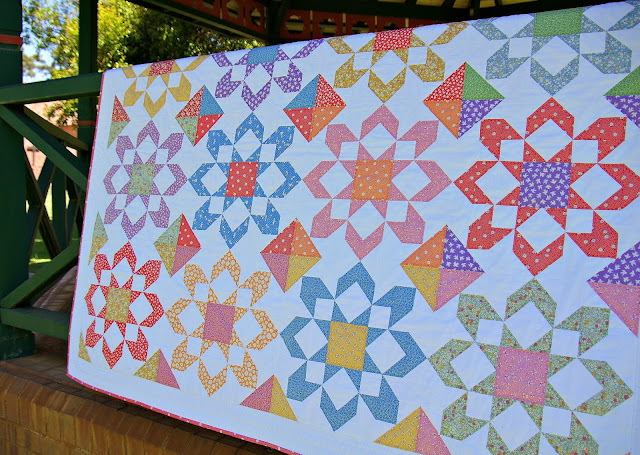 A while ago I started this quilt - Fireworks by Thimble Blossoms. 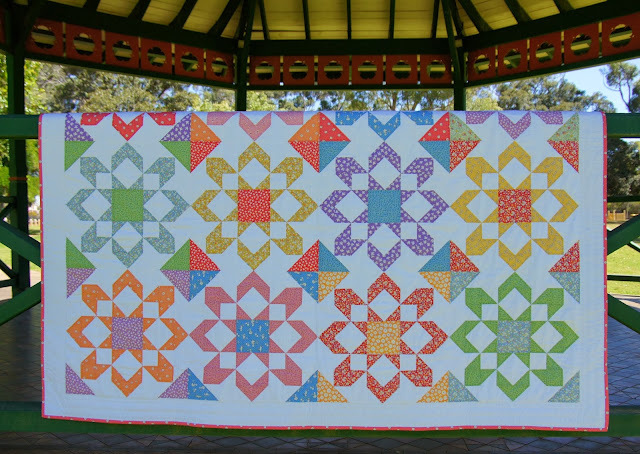 I had been wanting to use some 1930's reproductions for ages and I thought this quilt design would be a great showcase for these patterned prints. Well fast forward many, many months and while the quilt top did take a little time to come together I was definitely the hand quilting that took me ages. 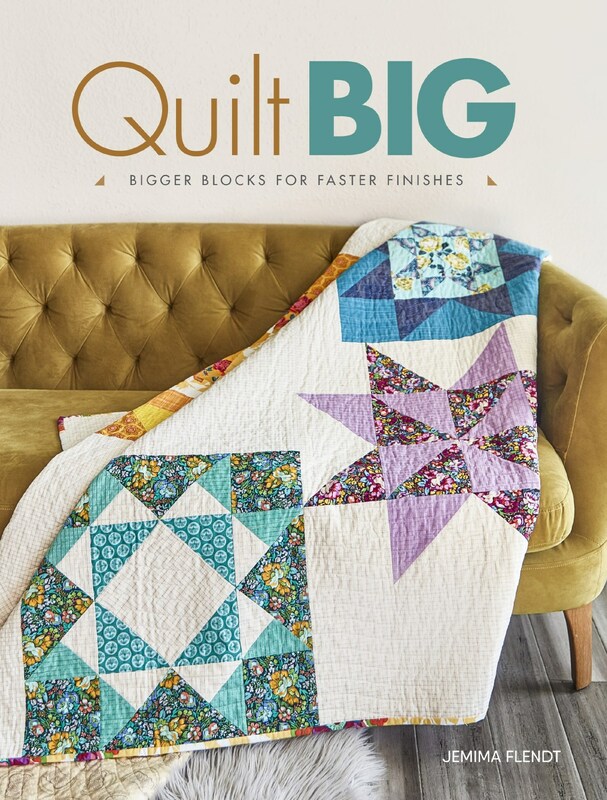 As I was making the quilt top I started to think about how I was going to quilt it and it just shouted "Hand quilting" to me. 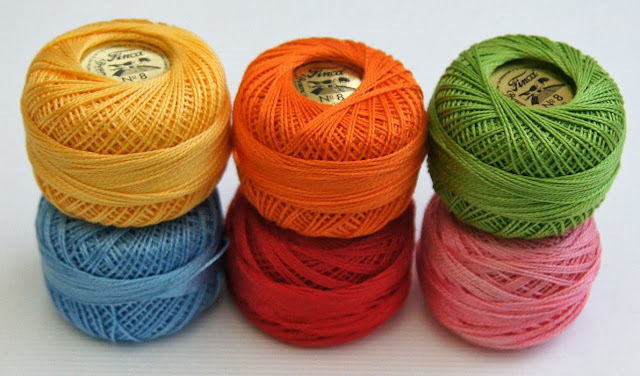 I love Perle 8 threads and these Fincca threads were just divine to stitch with. I started to quilt each of the stars with the same colour thread a 1/4 inch in from the fabric. I had not thought about it to start but as I continued to sew each block and as I had used a white backing fabric I had unintentionally made a design that now is such a feature of the Back of the quilt. I think I love all the hand quilting just as much as the actual front. 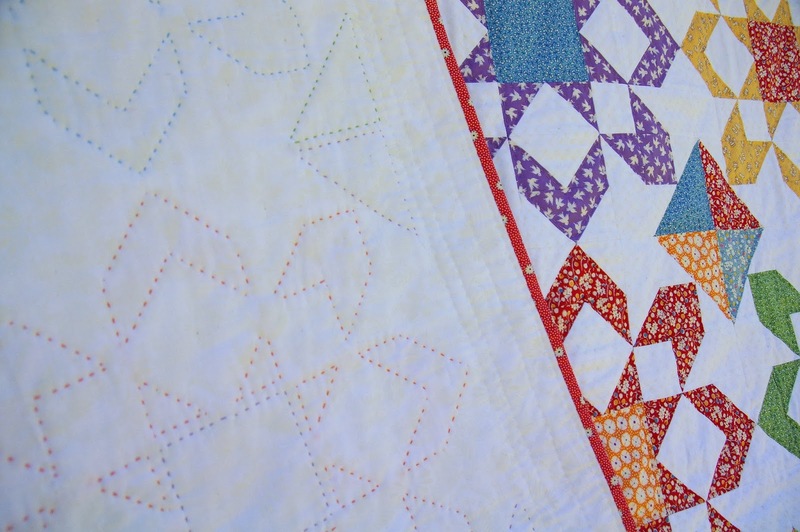 You don't really see the hand quilting on the front of the quilt unless you are close up. 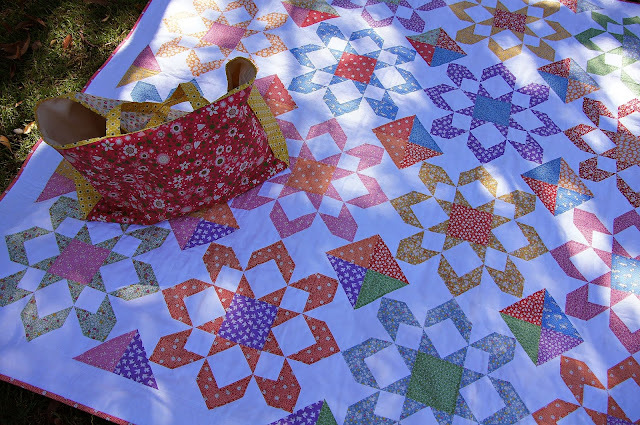 I don't often make quilts just because. 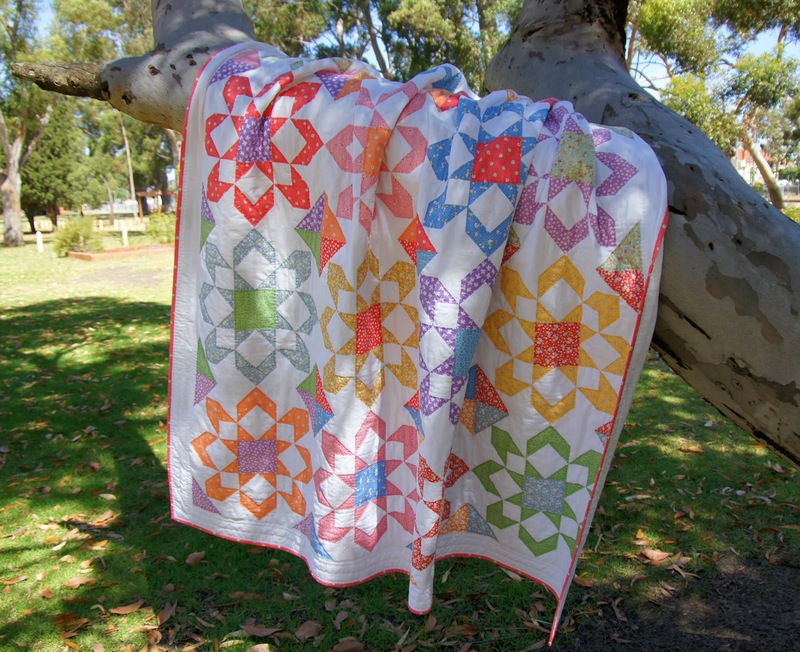 With no shortage around my home for something to snuggle under I usually like to make quilts with someone in mind and for an occasion or special celebration. 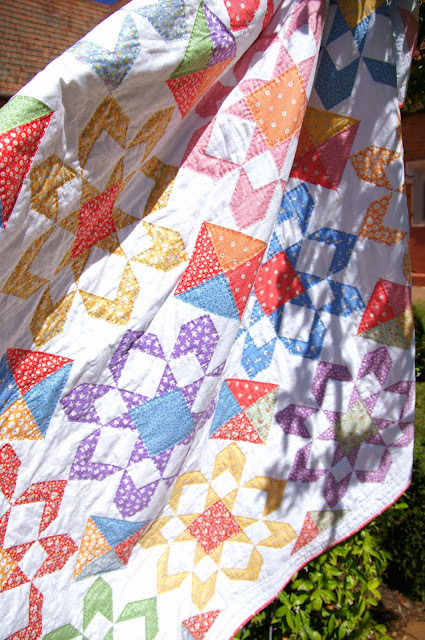 But this quilt I just made because. And I must say I am pretty stoked with how it has all come together. 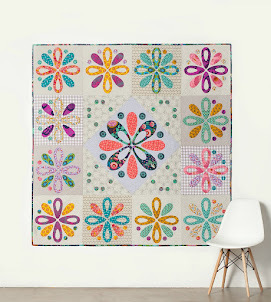 Oh it is SUCH a gorgeous quilt! I love it all, the fabric, the hand quilting! Great job! Oh it's beautiful! 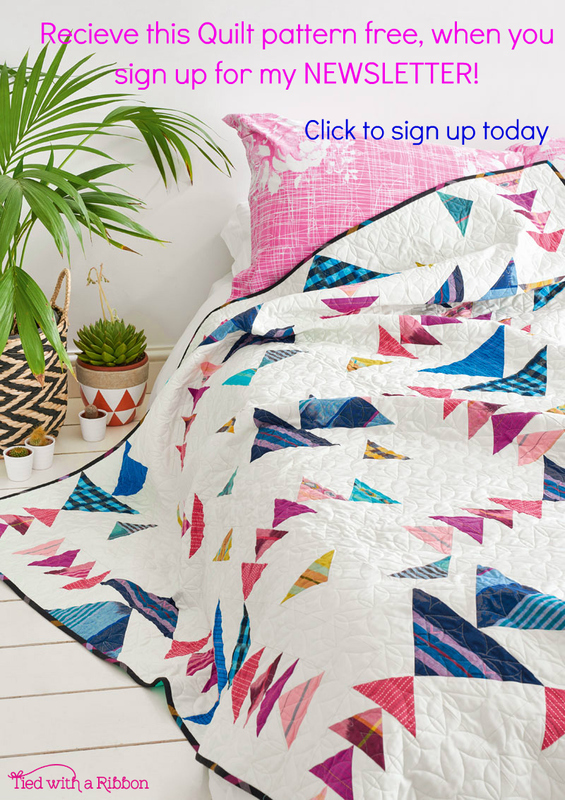 Those colours are so fresh and your beautiful even hand quilting is perfection!